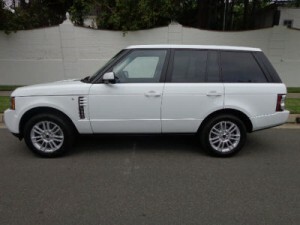 Conaway Motors offers certified Lynnwood Land Rover Service & Repair at an affordable cost. Land Rovers are expensive vehicles; therefore you want to make sure yours gets the best available attention. Letting non-certified mechanics work on your Land Rover will lead to larger problems in the future possibly costing you way more than necessary! The experts at Conaway are certified to handle all of your needs. Family owned and operated since 1960, Conaway Motors works hard to offer the best in service, ensuring that your Land Rover always leaves our shop in much better shape than it entered, all for a reasonable cost. With years of experience under their belt, the mechanics on staff will supply your vehicle with top-notch service. The Land Rover is a tough, all-terrain, vehicle made for off-roading and dessert escapades but the inner mechanics of the car can still be sensitive. Having the right machinery and expertise to complete the job is very important, especially when it comes to your Land Rover. Conaway motors understands exactly how the Land Rover operates, making sure to treat all parts with the necessary care required. Not only do we have the expertise, Conaway Motors also has the proper tools to get any job done, as well as detect any future problems before they arise. In fact, regular service on your Land Rover, no matter the year or mileage, will keep it lasting much longer. Oftentimes, people put services off because they can be costly but taking care of your car will actually help it retain its value. The experts at Conaway Motors will keep your Land Rover in working order for years to come. If you have a Land Rover that makes any strange sounds, has lights displayed on the dashboard, or simply hasn’t been checked out in a while, it’s time to bring it on in! Lynnwood Land Rover Service & Repair is not something Conaway Motors takes lightly, this is why you can rest assured your car will only get the most attentive courtesy while getting fixed, repaired, or serviced. Contact us at 425-905-2424 or by clicking here.